When we're not working at our Fort Worth shop, we travel to places and events that let us keep up with the world of custom hot rods while pursuing our need for speed. 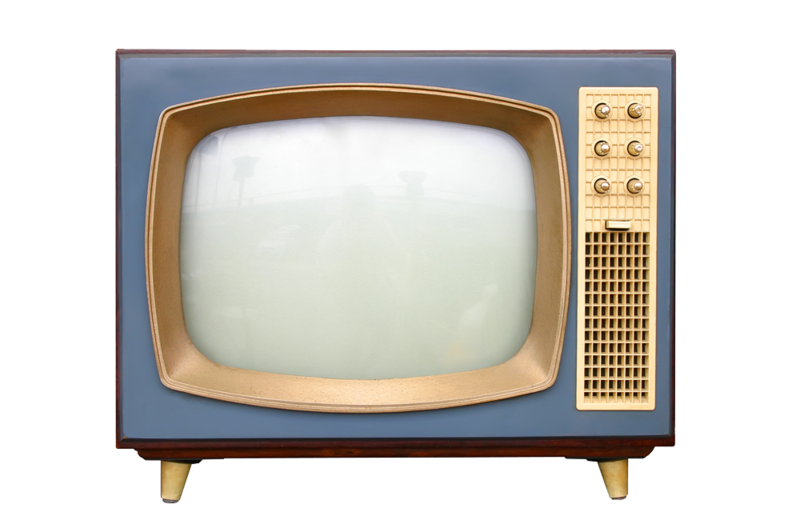 While we may not post on a regular basis, we do try to keep our customers informed of where we've been and where we're going. We want you to enjoy the ride with us. Next time you're in Fort Worth, drop by and see what we're working on! 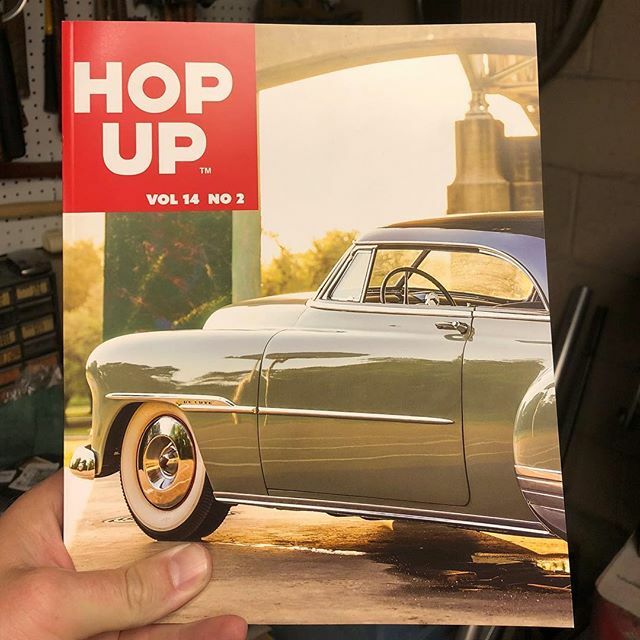 We made the cover of Hop Up Magazine! We will be closed from August 11-16th this year in another attempt at breaking a land speed record at Bonneville Speedweek 2017. We will be running the 1934 Ford Roadster with a blown flathead on alcohol in the XF/BFMR class with a record of 180 MPH and the 1932 Ford Coupe with an injected flathead on gas in the XF/GALT class with a record of 127 MPH. Sorry if we missed ya! 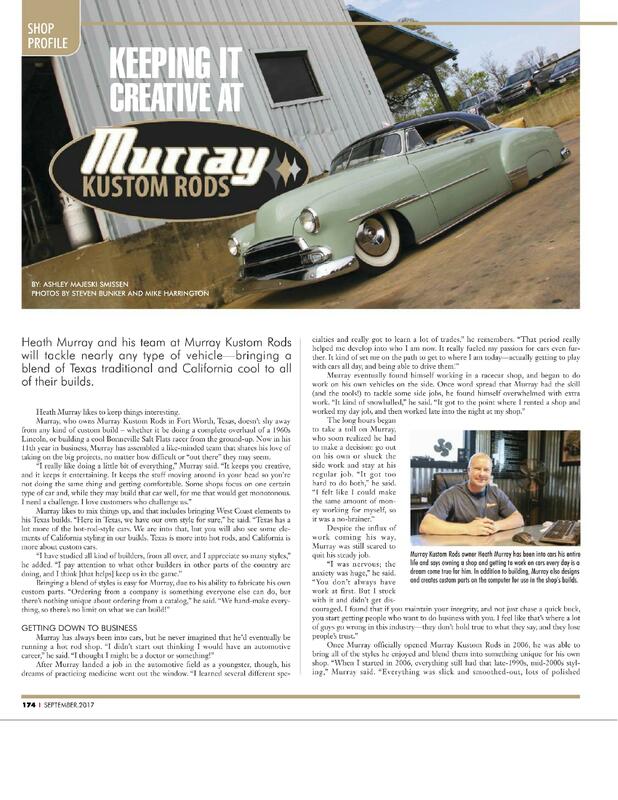 Goodguy's Rod & Custom Association stops by the shop! Goodguy's stopped by the shop when they were in town for the last spring Lonestar Nationals at Texas Motor Speedway. They interviewed us and took some pics from around the shop. You can catch it all in the September issue of the Goodguy's Gazette. We headed out to Speedweek with intentions to set the record in our class, as everyone does. Our class was XF/BGR, which is vintage flathead blown gas roadster. The current record was set August 2006 at 175.?? MPH. In this video you can see us make our 3rd pass, and at the 2 1/4 mile marker we were running 179 MPH. A few seconds later, a large amount of oil smoke entered the driver’s compartment with me, and I decided to shut it down. Unfortunately, we cracked the #2 and #3 cylinder walls and couldn’t make our 2nd pass to set the record. It was bittersweet. We knew that we could outrun the record, but we couldn’t obtain it. 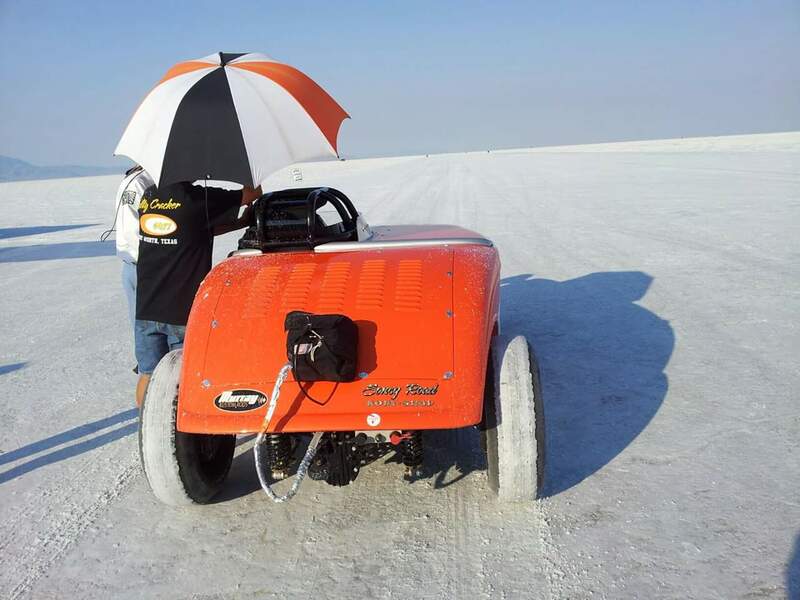 Don Smith always says there are two things that are hard to get at Bonneville: “records and rooms!” There's always next year.